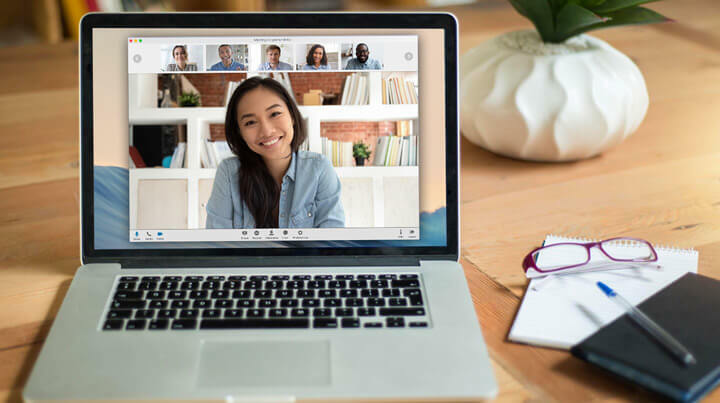 Use high-definition audio, screen sharing and video conferencing with up to 1,000 participants for free. Your FreeConferenceCall.com account makes it easy to grow leads and stay connected with your team. Whether you sell products from home or manage a sales team from the road, use a tool that's as flexible and intuitive as you are. Better yet, use a direct sales tool that's free. Looking for direct sales tips? Here's one: With free recording software, craft the perfect audiovisual presentation — then play it back during a live conference. Easily share recording links or embed on a website to build leads. Sales manager? Keep your team motivated, organized and on-target from anywhere. Get desktop and mobile apps for every device, allowing for more natural communication between remote or travelling team members. Sales relies on creating connections. No matter how amazing your product, it's the relationships you build with prospects that seal the deal. Free video conferencing and screen sharing allows you to maximize engagement with every lead. Use our toll-free conference call service to give prospects an 800 number for the lowest rate in the industry. Upload the perfect song and rev up your team while they wait to join your next meeting. Create and upload a signature greeting to welcome participants or provide a quick update.